First published in 1985. The field of mental handicap is a broad one encompassing the interests of many professional groups. As a result, there is a need periodically to present wide-ranging reviews of advances in the field. This is the central aim of this volume. Two chapters focus on the cognitive domain, and are especially pertinent in view of the recent release of the new Kaufman Assessment Battery for Children which uses Das’s theoretical position as its foundation. Another contribution reviews the area of non-speech communication with those with special needs, a subject of much current interest and controversy. Other chapters focus on major issues such as maladaptive behaviour and deinstitionalization and use of new technology. 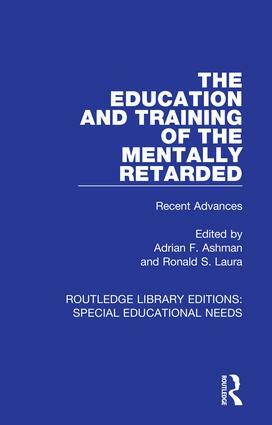 The book is thus likely to be relevant to all those with an interest in advances in mental handicap research.